Installation, happening. Foam, sewer covers, ductwork, road surface. 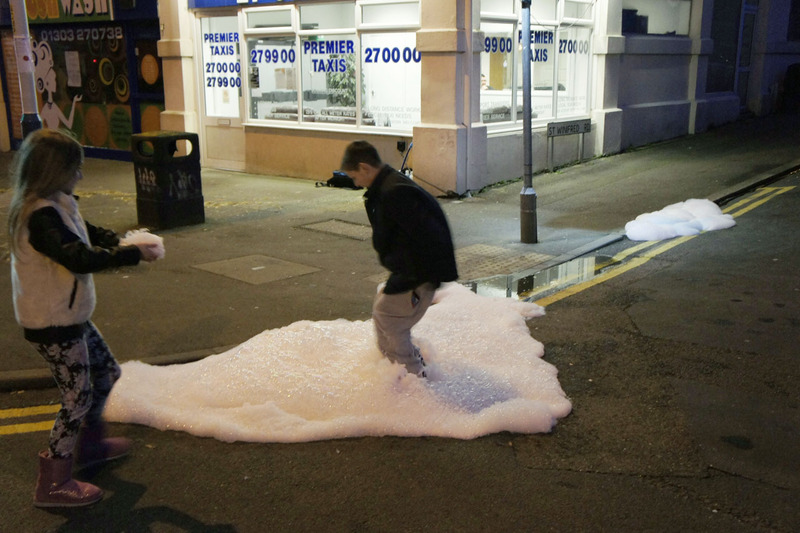 Sewer Foamies is a ground penetrating installation in which illuminated foam oozes out of the drains on a road junction ready for pedestrians to interact with. 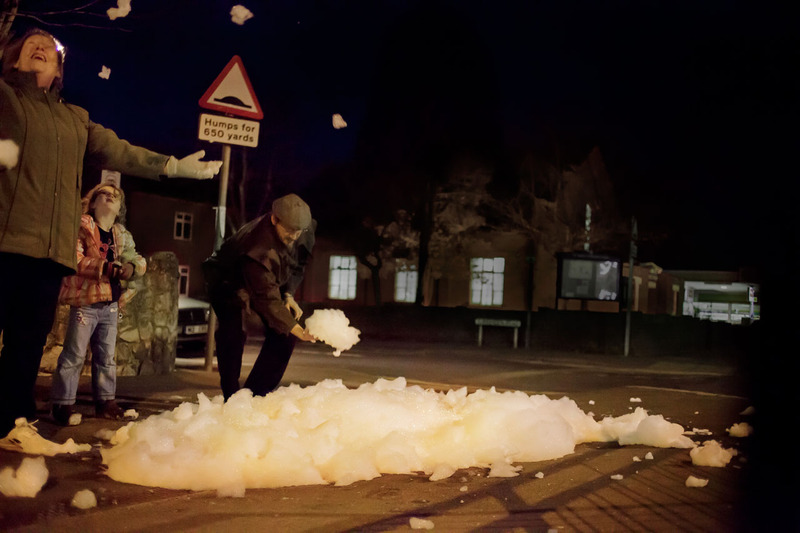 This foam-spill highlights the moments our urban environment is out of control – when culture and nature act as two disparate media that do not mix, but create a foamy substance instead. Sewer Foamies. Installation and happening. “Cheriton Lights 2014”, Cheriton High Street, Folkestone (United Kingdom). 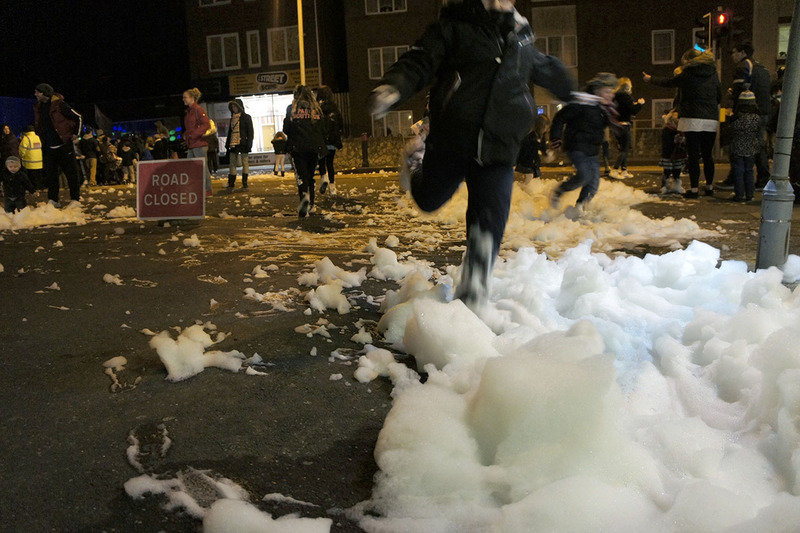 Cheriton Lights 2014”, Cheriton High Street, Folkestone (United Kingdom). Video: Assocreation. Cheriton High Street, Folkestone (United Kingdom). Video still: Assocreation. Sewer Foamies. 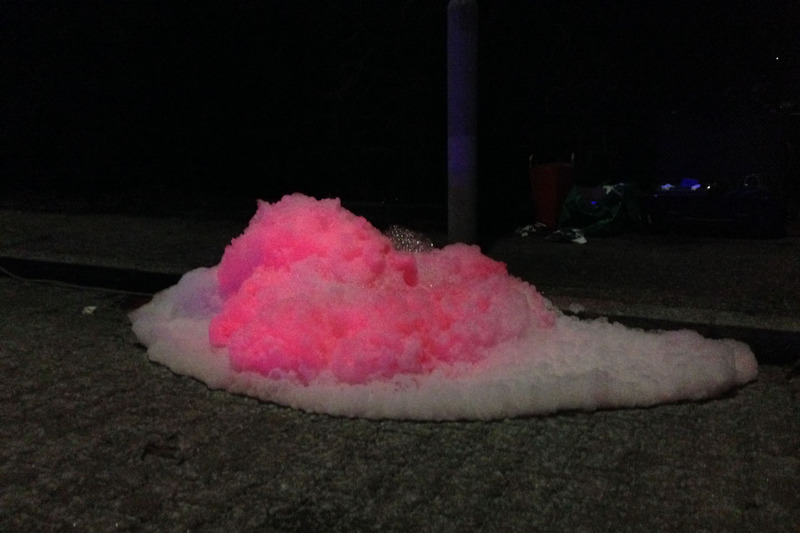 Guerrilla Installation with foam and pink UV active pigments. Vienna, (Austria).